Costa Rica has been recognized around the world as one of the best destinations for family vacations thanks to its wildlife, and culturally focused vacation options and, of course, the beachside boutique hotels for lodging. But this does not mean all tourist destinations fits into every family vacation package. There are some attractions specially designed for romantic escapes, or for specific niches like surfers. Tortuguero National Park, a remote area only accessible by plane (30 minutes from Juan Santamaria International Airport) or by boat (2 to 3 hours driving from San José -before taking the water transportation-), is one of those tourist destinations that we think you will enjoy during your family trip. 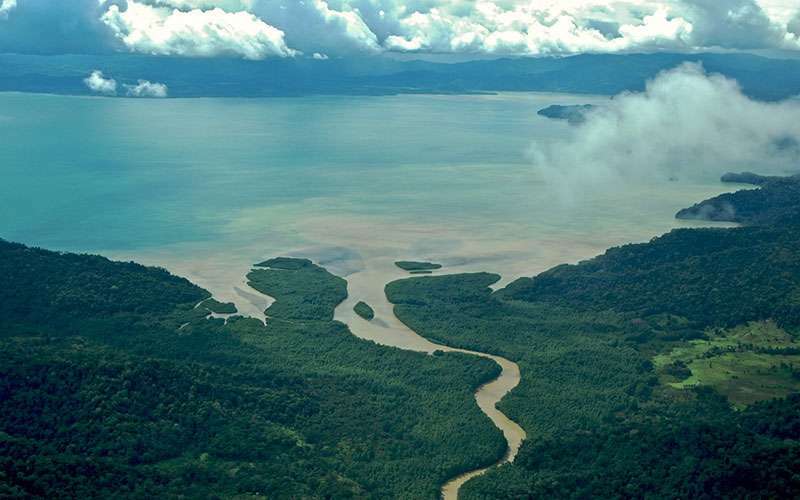 This National Park is one of the main tourist protected areas in Costa Rica. Located in the North Caribbean, it is a network of navigable lakes, rivers and canals (both natural and man-made) that are used for transportation and are a great place for observing local wildlife during an unforgettable Costa Rica travel. The park area has 3 types of forest: Humid Tropical, Humid Premontane and Tropical Montane. This variety makes it the home of 405 bird species, half of all the birds in Costa Rica, 52 kinds of fresh water fishes and 160 species of mammals. Some commonly seen animals are fishing bats, three-toed sloths, iguanas, basilisk lizards, poison dart frogs, and howler, white-faced and spider monkeys. Jaguars, ocelots, and kinkajous inhabit the park, but are rarely seen. Also, its beaches are the nesting haven of seven kinds of sea turtles, therefore its name: Tortuguero. 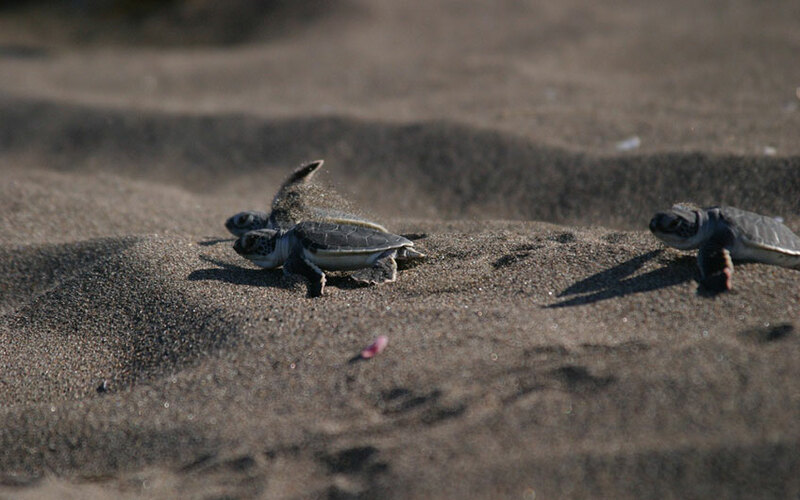 This beach is the most important nesting site of the green turtle in Costa Rica. Thanks to the effort of the community of Tortuguero, the hotel sector and the National Park management, the number of specimens has increased considerably in the last years and it is about to go off the list of animals in danger of extinction. Other kinds of turtles, such as the leatherback sea turtle and the hawksbill turtle also nest on this beach, although in smaller numbers. Nesting observation tours are offered from mid-July thru October. Now, one of the main reasons why we strongly recommend a visit to Tortuguero during your family vacation itinerary is that almost all the hotels here offer all inclusive packages, talking about transportation, full board services, entrance fee to the national park and tours, so you do not have to worry about booking transfers, tours and meals with other companies. This make it easier for parents, as they can be sure everything they need is included or on hand. Regular Tortuguero expeditions are 3 day – 2 night’s packages and are booked with ground transfers. This means that you will be picked up from your hotel in San José Costa Rica early in the morning to start a route of astonishing landscapes like the Braulio Carrillo National Park. Along the road, you can also observe many different kinds of products grown in this area such as pineapples and bananas. 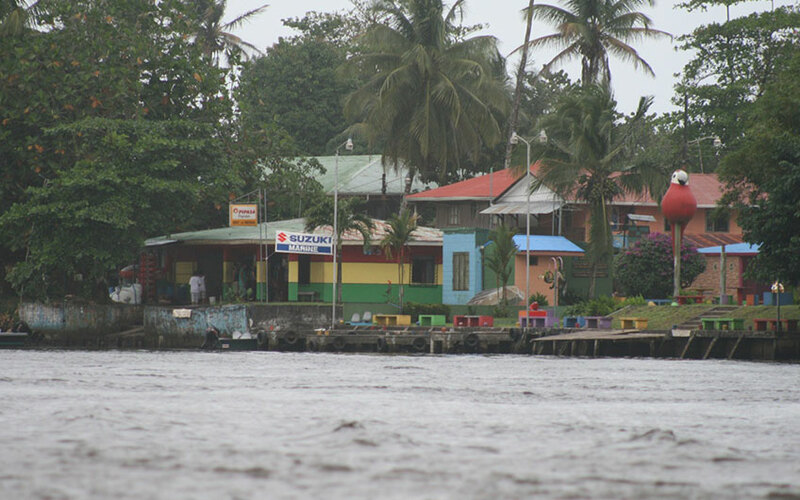 After this 4 hour of road trip you will board a comfortable boat upon arrival to Caño Blanco pier to travel through the Tortuguero canals from 1 hour and 30 minute approximately. 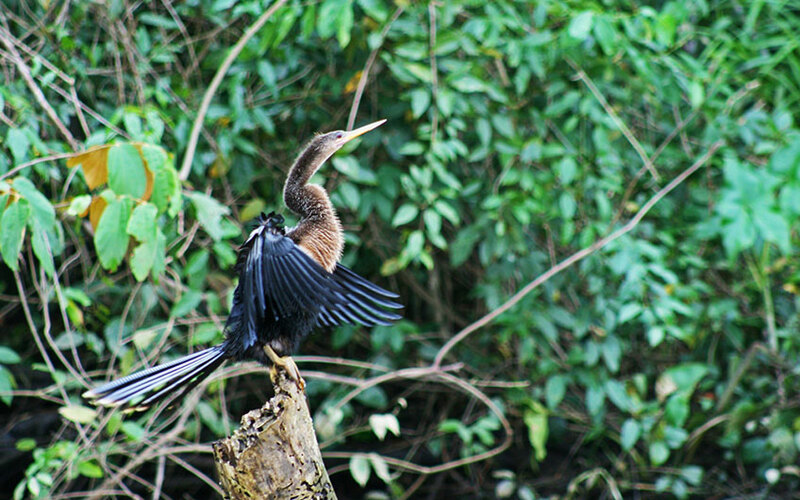 Once you arrive to your hotel in Tortuguero, you will spend some days in contact with nature and the Caribbean culture. The town of Tortuguero Costa Rica is a picturesque community originally founded by carpenters, fishermen and marine turtle hunters. Nowadays these same residents defend and protect turtles and other animals, and are a perfect example of how a community can change its actions in favor of the environment, where both can benefit from them. This small town, which is less than 1 km long, has charming samples of Caribbean architecture, with very fresh and colorful wood buildings. It has its own school, church and a handcrafts center next to the channels. 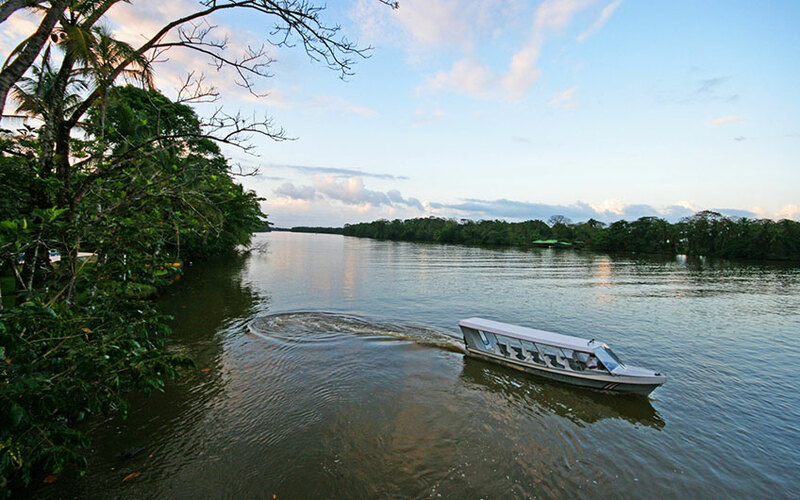 A visit to this beautiful town and an expedition through the canals are included in almost all Tortuguero vacation packages, but you can book additional Costa Rica tours like some incredible canopy tours, kayak rides, in shore and off shore fishing tours and hikes to complement your stay. Costa Rica weather is awesome as it changes from region to region. During your days in Tortuguero, be prepared for a warm and humid climate. Daily temperatures average 26 degrees C (79 F) and annual average rainfall is over 5,000 mm (200+ inches). Warm days are tempered by trade winds and cool nights. How to include Tortuguero on a travel package? If you are planning your Costa Rica vacation for your next holidays, then we highly recommend to put it at the beginning and spend the first night in San José, it is because most of the Tortuguero lodges pick clients up in San José hotels. Another good option is to connect with the South Caribbean, where you can enjoy some of the prettiest beaches in Costa Rica, if you have heard about the Afro Caribbean culture, and want to know more about it, this is the right place. Additionally, it is almost the only beach place that is close to Tortuguero to get in by land, without using a flight. Arenal Costa Rica is the second destination that we recommend to combine with this extraordinary place, you can take a shuttle bus or rent a car from Guapiles area (where the Tortuguero package will end) and continue by land to Arenal, the region in the northern side of the country where the only conical shaped volcano is located. Family adventure tours, should include these areas, as it is well known for the different and possible tours in the area. We assure you that you will have an amazing time traveling here. You can check where the area is located by using an accurate Costa Rica map. If you do not matter in taking a domestic flight during your vacation packages, you must consider going to the South Pacific, where the Corcovado National Park is located, secluded and beautiful spots are waiting for you. However, is important to consider that there is no a direct flight, so you should take a flight that stop in the capital city San José Costa Rica to connect to the Golfo Dulce area, in the South Pacific. Take a look to our amazing Costa Rica packages, and contact us if you want us to provide more information, or let us a comment about this article. We will be more than glad to assist you to prepare affordable Costa Rica family vacation packages.